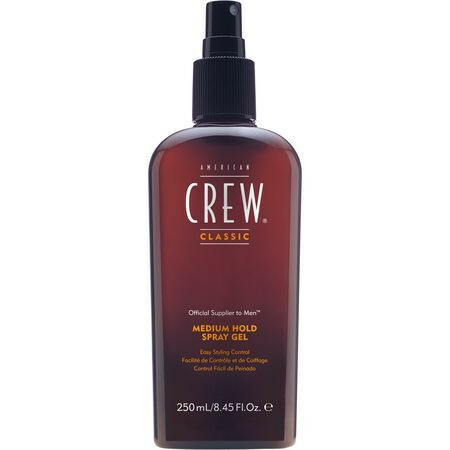 American Crew Spray Gel is enriched with sage, ginseng and quillaja providing your hair with a medium hold but unlike other styling sprays, it gives your hair the added bonus of natural movement and manageability. An excellent pre-blow dry product American Crew Styling Gel also protects your hair from harmful UV rays. * Spray a liberal amount of American Crew Spray Gel onto damp hair.